Happy Earth Day! Here are the top ten good news stories for the environment… Since the first Earth Day in 1970, air quality has improved dramatically, rivers are cleaner, and many endangered species have been rescued from the brink. As every first grader is taught in school, the environment rocks! Let’s look at 10 points of light in the news about our Earth. #1) We can Breath Easier – The dramatic reduction in air pollution represents one of the greatest success stories in American government. Most Americans believe air pollution has been getting worse, but the truth is just the opposite: Air pollution levels have been dropping for decades. Since the first Earth Day, emissions from the most common air pollutants have decreased by about half, even while gross domestic product increased 195% and people increased their travel in cars by 178%. Los Angeles, for example, had nearly two hundred hazardous days every year for smog in the 1970s but now experiences less than twenty-five heavy-ozone days each year. Lead has been eliminated entirely from the air, thanks to the introduction of unleaded gasoline, while levels of carbon monoxide are down by 70%. Europe achieved its goal of cutting pollution from coal-burning plants years ahead of schedule, reducing acid rain-causing sulphur dioxide by 65 percent since 1990. China is also surging ahead to curtail its pollution. In the last year it has increased fuel standards, closed ozone-producing checmical factories, invested in renewables, unplugged 253 coal-fired generators, and continued to spend its investment of $175 billion on environmental protection over 5 years. Rounding out the effort, thousands of citizens around the world aided in cleaning the air by planting a billion trees last year for the UN’s Billion Tree campaign. When the clean water act was passed in 1972, only 40% of the nation’s major rivers were safe enough for swimming. Today, about 70% are safe enough. This is one of reasons that endangered species like the brown pelican, the bald eagle, and the sturgeon are making a comeback. Bald eagles this year soared off the endangered species list after nearly four decades, their population climbing from a dismal count of just 417 nesting pairs in the continental United States in 1963 to more than 11,000 today. “Pelicans have roosted on the nation’s list of endangered species longer than nearly all other creatures,” reports the LA Times. Now thanks to the 1972 ban on DDT the pelican population is booming. In New York City’s Hudson River, Shortnose sturgeon became the first fish to be resurrected from the endangered species list. More than 60,000 occupy the river, greater by about four times than the number in 1970. Read about more species recovery in a GNN-i report. A 10-year strategic plan was launched this year between Congo, Rwanda and Uganda to guarantee the continued recovery of the Mountain Gorilla. Other African countries too are recognizing the importance of tourism and cracking down on poaching with 9 nations signing a pact in Paris. Ten million trees were planted by the World Wildlife Fund in the DR Congo shoring up a gorilla habitat once ravaged by war, and the best news was a 2007 survey showing the gorilla population rising 12 percent over the past decade in Uganda. Black rhino numbers, too, are up 20 percent in Kenya, after years of decline from poaching and habitat loss, a healthy increase that surpassed even conservationists targets. London’s famous red buses and New York City’s yellow cabs will both be turning green in several years. By 2010, London’s double decker buses will run on hydrogen, producing zero pollution and much less noise. 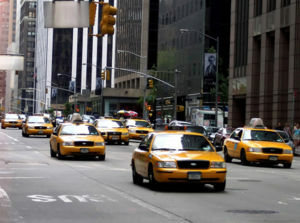 In New York, every yellow taxi cab will be a fuel-efficient hybrid by 2012. Add that to the million new trees set to be planted in the city alone, and you’ve got less heat on the street and cleaner air. US installations powered by the wind jumped 63 percent last year — enough to power 1 million average homes — according to estimations by the American Wind Energy Association. 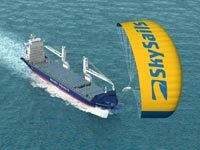 And in February the first wind powered cargo ship (video) crossed the Atlantic pulled by a giant kite that cut its energy use by 20 percent. Last year, in conjunction with Earth Day, Global Research Technologies officially introduced its unique CO2 vacuum cleaner in conjunction with Earth Day that can remove carbon dioxide from the air. Columbia University professor Klaus Lackner is the visionary who dreamed up the devices, which look like giant fly-swatters, and utilize a chemical compound that, when wet, absorbs the CO2 straight from the atmosphere. The founder of Land’s End before he died poured money into the start-up company to bring Lackner’s vision to market. Three massive sanctuaries were erected in the last few years in far reaches of the globe to protect species that are found nowhere else. A new nature reserve in the Democratic Republic of Congo will become the world’s largest continuous protected area for great apes, larger than the state of Massachusetts. 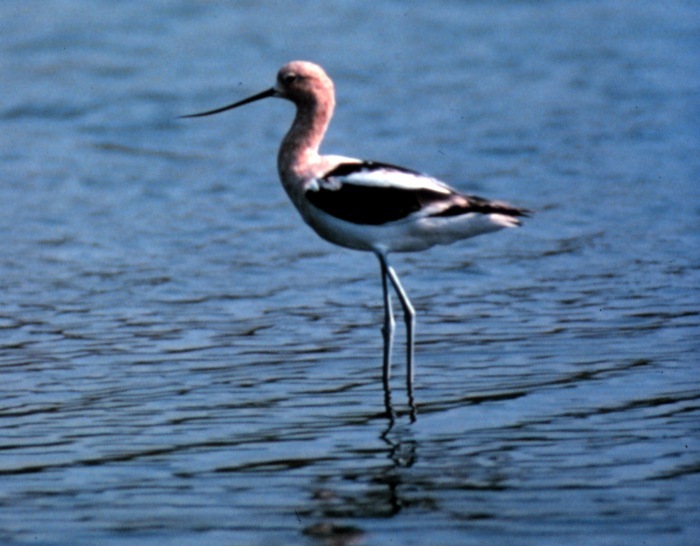 The Bush Administration in 2006 encircled Hawaii with the world’s largest marine preserve, home to 7000 marine species, at least a quarter of which are found nowhere else. The huge sanctuary is larger than all US National Parks combined, stretching the distance from Chicago to Florida. And this month the Canadian government announced the creating of a new giant national park covering some 1.9 million acres along one of the country’s most spectacular northern rivers. Thanks in part to Al Gore’s Inconvenient Truth, and worldwide Live Earth concerts, the public consensus has finally confirmed that Global Warming can and should be a top priority. More than 320 US mayors (even in big cities like New York, LA, Chicago, Seattle and Dallas) have joined together to adopt the Kyoto targets and take local action to reduce global warming pollution. Huge corporations convinced it is in their own interest to adopt stricter standards are also leading the way. 12 international companies including Nike, IBM and Sony joined in a Climate Savers Program to cut emissions by 7 % by 2010. Dell became the first major computer firm to go totally carbon neutral. Leaders of the world’s major religions met in Greenland (video) to see climate change first-hand and pray. The Vatican is adding its voice to the chorus for change. The Pope even led an eco-rally for half million (video) youth. 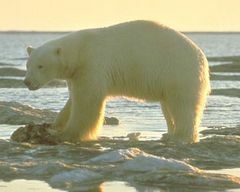 Perhaps the most telling sign that a consensus has been reached in American society: The US Fish and Wildlife Service admitted that the polar bear may indeed by threatened and proposed to add the species to its protection list, which would basically prohibit the government from taking any action that would exacerbate the plight of the bear, a groundbreaking development in 2007. It’s just a matter of time before single-use plastic bags are globally shunned, taxed or banned altogether. Tanzania, San Francisco and a Manitoba town now prohibit the use of the pesky plastic. A simple tax is another option embraced by Australia and Ireland, and stores like Whole Foods and Ikea. In 2002, an Irish tax of 33 cents per bag caused an immediate drop in usage by 94 percent. WANT TO USE THIS ARTICLE ON YOUR WEBSITE, E-ZINE, OR BLOG? Just include the entire article along with this final paragraph! I didn’t know air pollution and river pollution have actually decreased. That’s fantastic! It makes me so happy to know that my little girl has a opportunity to grow up in a cleaner world!!! We live in Montana, I have seen the comeback of the Bald eagle and the pelican and it makes me happy to know my little one can continue to watch them soar!! What a great future we have! The first wind powered cargo ship?? All the hearty men that sailed the tall ships would probably disagree with that statement. Wind power has been around hauling cargo for quite some time. When the day comes when we reverse global warming (and it will come), it will be humanity’s greatest scientific and cultural achievement ever. It will be greater even than the moon landings. Best of all it will be my generation the saw it happen!!! 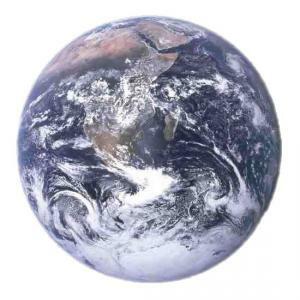 For those who like audio and radio, here is a 10 minute interview I did with a Texas station on Earth Day, spreading the good news about the Earth.